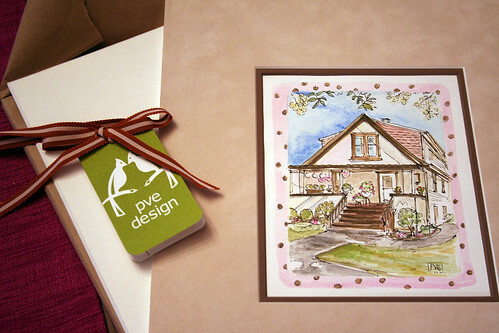 Last month, I wrote about pve design and showed the illustration of my home that Patricia had done. Well, I’ve been meaning to follow up because when it arrived I was pleasantly surprised to see that it was even more beautiful in person! Careful attention had been paid to the packaging too. It’s even better than the preview! What a lovely piece to have. So gorgeous………how lucky you are !!!! What a lovely thing! Just wonderful. What lovely packaging! That picture is wonderful. Its so nice to have these businesses that take real time to make your package feel like the only one that matters isnt it? I know… I love good packaging. OOOOOhhh…I’ve always wanted to have one of these done of our house. So cute. By the way, I am so thrilled to have finally made my way over to your blog. I can see myself getting lost here for a few hours. :) It’s lovely indeed! Very impressive! Patricia always is. Just a quick note to say I do lurk a bit on your blog to see what you have been up to in decorating and in your business. I wish you well with both! You are very talented and your house is coming along brilliantly! I am flattered that you posted this! Thank you! 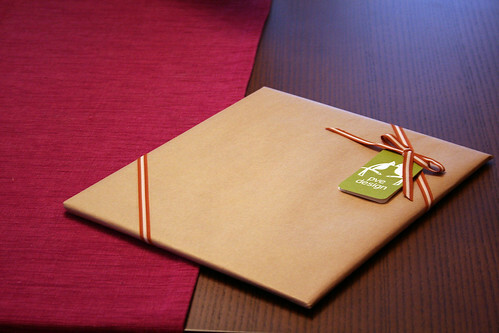 Yes, I am a wrapping snob, and presentation is incredibly important to me! I was always elected to do the wrapping growing up which I still take great pride in! Did you love that suede matte! I thought it finished it off in a lovely way. So thrilled that you are pleased! Patricia, is this a regular service (illustrating people’s homes)? I’d love to have one done of my house too. So VERY lovely!! I can’t wait to get to a point in our renovation that we can ask Patricia to do a commission for us as well. I love that!! 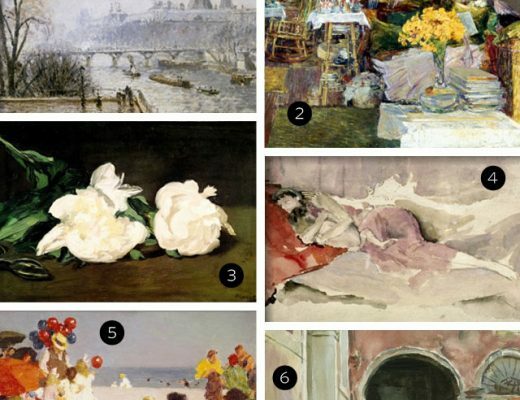 Where will you hang it? I’m not sure where to hang it yet! Maybe upstairs, in the library area?